This is another recipe I've had floating around for years. I've had this kind of cookie a number of times, but for whatever reason, I never got around to making them myself. Until now. 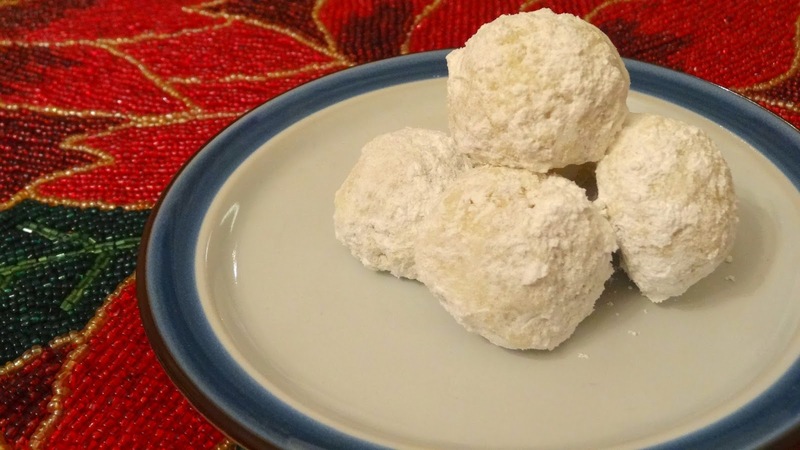 There are many names for this kind of cookie... Mexican Wedding Cakes, Russian Tea Cakes, Italian Wedding Cookies, and of course, Snowball Cookies, to name a few. I love how these cookies are so fitting for this time of year: a pile of snowballs...and they won't make your hands cold! And just like snowballs, you can also build them into snowmen! Preheat oven to 300 degrees F. In a large mixing bowl, cream the butter together with 1/3 cup of powdered sugar. Add the vanilla and flour and blend until smooth. Mix in the walnuts. Place the remaining 1 1/3 cup powdered sugar in a medium bowl and set aside. Scoop dough in rounded teaspoons and roll between palms to make a smooth ball. Place about 1 inch apart on a parchment lined baking sheet. Bake for 15-20 minutes, until cookies just begin to brown around the edges. Gently roll cookies in powdered sugar and set on a wire rack to cool. When completely cool, coat cookies again with powdered sugar. 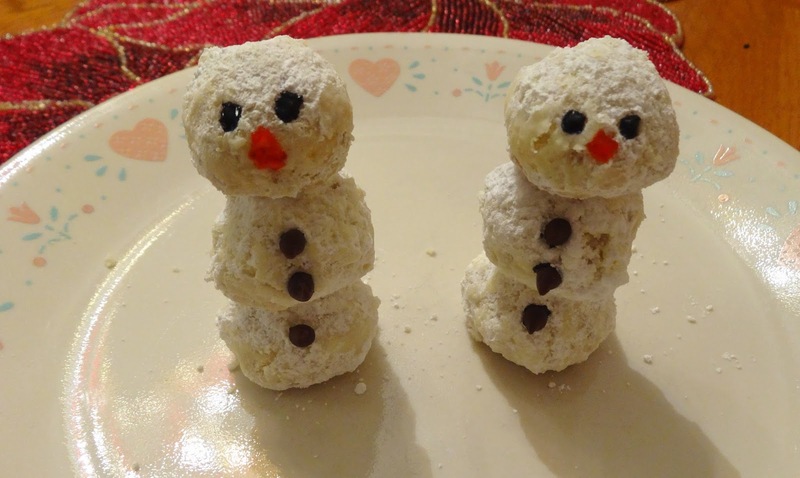 To make Snowmen: slowly and gently slide a toothpick down through the top of a cookie. Make sure there are equal lengths of the toothpick poking out of the top and bottom of the cookie. Push the bottom portion of the toothpick into the top of a second cookie, and the top of the toothpick into the bottom of a third cookie. Decorate with mini chocolate chips, frosting, or any other candies. Make them as simple or as ornate as you like, and have fun!